As homes are getting smarter and technology is improving, there are more and more ways to make sure that you are living in an energy efficient environment. Not only is this great for the planet as a whole, it will also help to reduce your monthly bills – and no one is going to complain about that! There are plenty of different ways in which you can make your home more energy efficient – ranging from the cheap and simple to the more expensive and challenging. In this blog post, we are going to cover a few of the most common ways that you can cut the energy usage in your home. When the colder months of the year arrive, it can be very tempting to leave your heating on full blast for hours on end. But this is going to end up leaving you with massive heating bills. If you have a programmable thermostat, it makes sense that you are not heating your home during the hours of the day when you are not in. This is made even easier with a smart thermostat which you can control from your smartphone, so you may want to consider getting this great bit of tech. The average shower lasts for eight minutes and uses 17.2 gallons of water – which certainly sounds like a big number! The most obvious thing that you can do to reduce this number for free is to take shorter showers! But another solution which can end up helping out is to install some low-flow shower heads, which use fewer gallons to the minute. You can keep taking your long, luxurious showers in the mornings – and also feel like you are doing your bit for the planet! During the summer months, you should keep your windows open when the sun is not shining on them to get your house nice and cool without having to use the air conditioning or fans. Sealing up the cracks and gaps in your windows will also play a big role in making them more energy efficient. You can do this by adding weatherstripping around the frames. If you want to go for the all-out solution, you could consider an entire window replacement. Check out Renewal by Andersen replacement windows for some energy efficient options. In the long-run, this is a solution which will cut your annual heating bills. 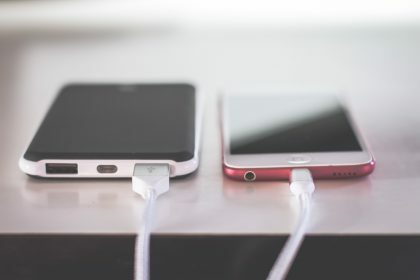 With laptops, tablets, smartphone, wireless speakers, charging units, wearable tech etc all needing charging, you probably have plenty of them lying around the home. Though it may seem like a small thing, they can be wasting energy when they are plugged in and not being used. Of course, a single charger won’t make that much of an impact – but when there are so many all ‘vampiring’ a bit of energy each, this can all add up to a bigger electricity bill. There are plenty of people out there who still haven’t made the switch to energy efficient light bulbs, and if you are one of them, now is the time to do something about it. And they are not going to leave your home in darkness – even if they take a bit more time to get to full brightness. And since the average home uses upwards of 40 light bulbs, this is a lot of energy which you could be saving. Not only this, you won’t have to go through the annoying task of changing them quite so often! At the more expensive end of the scale, adding some insulation to your attic is one of the best ways of running a more energy efficient home. This will help to seal up any air leaks which your home is currently suffering from, as well as improving the heating and cooling costs of the place. Ultimately, if you have little more to spend, this is a course of action which is worthwhile in taking as it will help out your energy bills for years to come. Solar panels are starting to become more and more common in homes. And while they are expensive, they don’t represent the same huge cost as they once did. 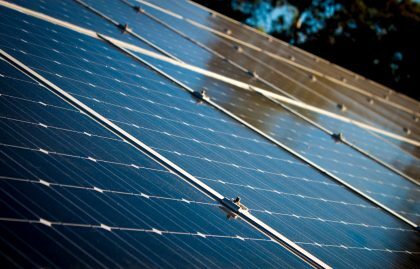 As well as making the most of the energy which comes naturally from the sun, you could also qualify for some tax reductions by getting some installed.